Biology is the study of life and living organisms. Since it embraces all living things, it is perhaps the most fascinating branch of science. The new inventions and discoveries have helped greatly in continuously testing and searching the truth and unfolding the mysteries of life whether plants, animals or microscopic life. During the past some years, biology has shifted its focus from the structure of living organisms to looking more at how they work and function. These advances in biological knowledge raise new issues. The present book will help you to understand and contribute to the biological revolution which is taking place in our lives. 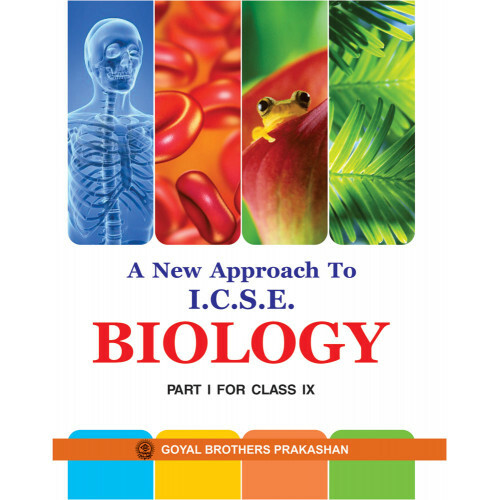 This book has been revised and upgraded in accordance with the latest syllabus of Biology prescribed by the Council for Indian School Certificate Examinations, New Delhi. Written in a very simple, easy-to-understand language, and in a pointwise sequential manner. The prescribed syllabus has been strictly followed with special emphasis on easy explanation of concepts with key facts. The text is complemented with well-illustrated, multi-coloured, properly-labelled diagrams which inspire the students to draw themselves. Text and illustrations contribute to the basic understanding and appreciation of the field of biology. Different flow charts and tables make the concepts easy to grasp and the chapters informative. Some extra useful information has been provided to enhance the students' knowledge related to the chapter. Important points of each chapter including important biological terms have been given at the end of each chapter. Comprehensive in-text exercises have been given to check the progress of the students and their retention capacity. 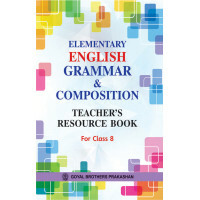 At the end of each chapter, an exercise has been given which consists of a variety of questions including objective type, very short answer type, short answer type, long answer type and structured questions. Exercises also include questions from past years’ Board Examination Papers. Quick revision web-charts containing the gist of each chapter have been given. Five Model Test Papers based on the new syllabi for practice have been given at the end of the book. Solutions Goyals IIT Foundation Course Chemistry For Class 8..